In a two-hop cooperative relay network under eavesdropping environment, selecting the appropriate relay node forwarding information can improve the security performance of the system. Traditional relay selection depends on the channel condition of the two-hop link acquired through feedback to select the optimal relay node, ignoring the possible feedback delay of the system during relay selection moment and data transmission moment and inevitably causing the system security performance decline. 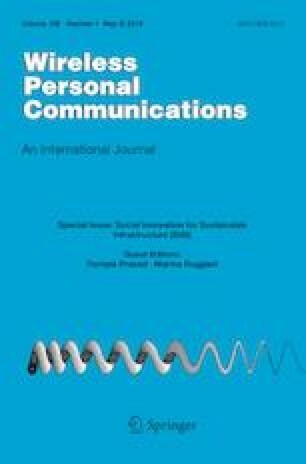 With this in mind, this paper aims at improving the security transmission performance of the system, considering the condition of two-hop link channel of AF secure cooperative network combined with the maximum posterior probability criterion to weaken the influence of feedback delay to the relay selection, thus improving the security performance of the system. The simulation results shows that, with the improved optimal relay selection strategy based on the maximum posterior probability criterion, the reliability of relay selection is improved, and the system security performance is better. This paper was supported by Natural Science Found of China (No. 61201213).